CLICK on the links below to see even MORE My Life goodness and praise for Bio Cheese in popular publications. Choice - Vegan Cheese Taste Test. Which cheddar and mozzarella style vegan cheeses taste best? Huffington Post - We Tasted 8 Vegan Cheeses. Here's What We Think of Them. With the help of PETA, this reputable news and opinion site road-tested 8 different vegan cheeses. Animals Australia - 8 Tasty Dairy-Free Cheeses That Will Melt Your Heart. This leading animal advocacy group explored the delicious world of animal-friendly foods - trialling 8 dairy-free cheeses that are doing good things for their health, environment and animals. Mad Mex - Vegan Cheese Is Here. Mad Mex, Australia's leading 'Fresh Mexican Grill' has introduced Bio Cheese Cheddar Shred onto their menu. 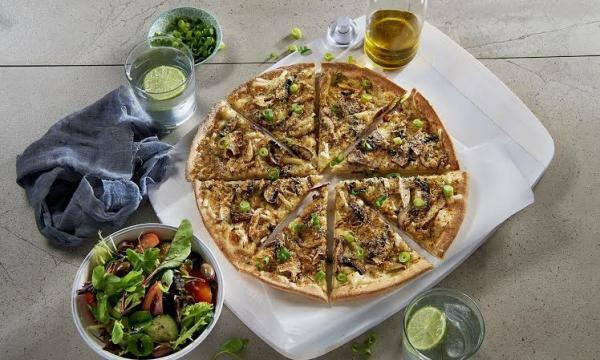 QSR Media - Crust Gourmet Pizza Bar Launches Vegan Pizza. Crust Gourmet Pizza Bar has introduced crowd-favourite Bio Cheese Pizza Shred onto their menu. Available on their Smokey BBQ Pulled Jackfruit and Mediterranean Romesco pizzas OR to add to a meal of your choice. VeganNews - Revealed: What's Happening To Bio Cheese? The team at VeganNews were quick to let their strong following know what updates they had on Bio Cheese's up and coming products AND availability in Australia. Style Media - The Pizza Capers Vegan Menu Has Arrived. Pizza lovers REJOICE! The arrival of the Pizza Capers Vegan Menu was celebrated by the team at Style Media, who like us, couldn't wait to try their Vegan Satay Tofu, Vegan Tabasco Spiced Smashed Avo and Sweet Potato Vegan Lovers pizzas. But... it doesn't stop there. Pizza Capers also added Bio Cheese to crowd-favourite calzones AND happily substitute Bio Cheese onto any meal upon request. It's just too good to be true. QSR Media - Pizza Capers Unveils First Ever Vegan Range. 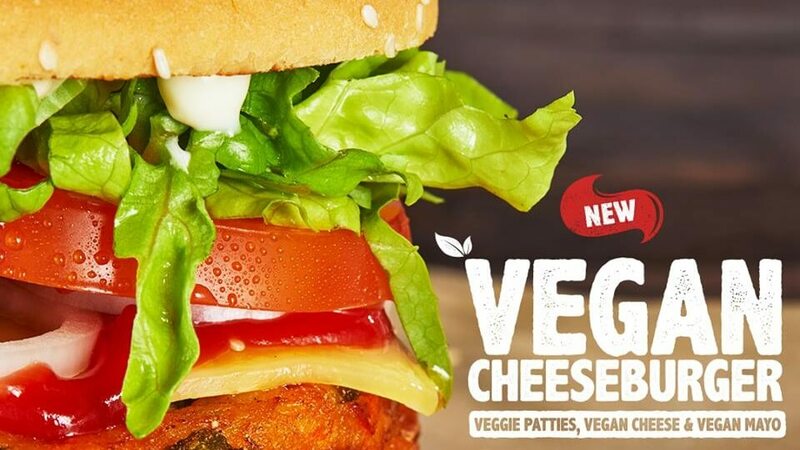 QSR Media was among the first to report the arrival of various new Vegan menu options, including Bio Cheese, at Pizza Capers stores across Australia's Eastern sea border. Business Franchise Australia and New Zealand - Vegans, Say Cheese! Zambrero Introduces Vegan Cheese Across Australia! Vegans, say *BIO CHEESE - Zambrero is on board! The team at BFANZ where among the first to report on this "grate" news. After successful trials in select stores across Australia, ALL plant-based-diet lovers are now able to enjoy this new menu addition! This Mexican restaurant chain added ANOTHER plant-based topping to their menu, and we think they saved the best until last. Zambrero launched Bio Cheese into 170 of their stores across the country on the 15th of August. The team at Messy Veggies have been quick to break down the new Zambrero menu options, even creating a video review. The best part they thought? The choice of My Life Cheddar Bio Cheese that has the cheddar flavour consumers have been looking for (+ all of its additional goodness). The team at The Brag were quick to pick up on My Life's partnering up with Zambrero to offer customers Cheddar Flavour Bio Cheese to a number of menu iteams. BUT they've also picked up on the plant-based options appearing on menus all over the country, including Hungry Jack's vegan burger that ALSO features My Life Bio Cheese! The team at 'Plant Based News' couldn't be happier to hear that our palm oil free and dairy-free Bio Cheese Cheddar Shred product is NOW available at over 170 Zambrero locations. VeganNews.com.au - OMG Vegan Feta PLUS Cracker Snack Packs Coming to a Store Near You! vegannews.com.au were quick to report on the latest additions to the Bio family. Mrs. Bio's expecting not one, but TWO, new babies this month - Bio Cheese Feta and Bio Cheese Snack Pack - Cheddar Flavour and Crackers. ...and the West Island's on board! Fresh reviewed our Bio Cheese products - noting just how well they melt. They've labelled it the new "go-to" product for the health conscious or for those looking to reduce their dairy intake, or have hypersensitivities to allergens, including lactose. Stuck for inspiration? Aunt Maggies Organics has you covered! This salad is the perfect dairy-free side dish to accompany your meal! The West End Magazine reflects the evolving culture and diversity of the 4101 Suburbs (QLD). Their incredible team was quick to inform their readership of the recent arrival of My Life Bio Cheese Feta in their local Woolworths stores - a product that can be enjoyed by all. Busy mums want quick, delicious and clean label alternatives for their little ones! The latest edition of Busy Mums Magazine has our latest products, Bio Cheese Feta and Bio Cheese Cheddar Flavour and Cracker Snack Pack, featured. The Jasmine in the Forest - Bio Cheese: Vegan Cheese That Actually Tastes Like Cheese! The incredible (and very inspiring) Deb of ‘The Jasmine in the Forest’ shares her thoughts on her first trial of the latest additions to the Bio family. Our friends at PETA have compiled a list of vegan cheeses they deem appropriate for serving at a dinner party, on a cheeseboard OR at an upscale restaurant. Look no further than crowd-favourite Bio Cheese! To celebrate the arrival of yet ANOTHER delicious, compassionate concoction from My Life, PETA have added Bio baby - Bio Cheese Feta - to their list of vegan cheese staples! 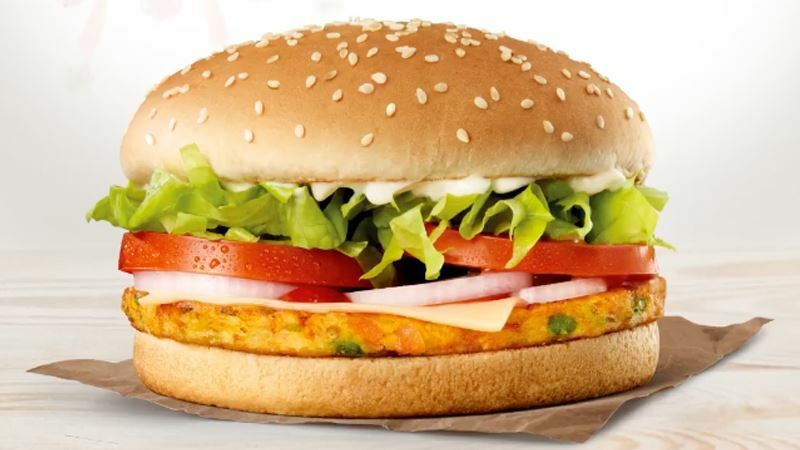 Hungry Jack’s has added a new meat-free cheeseburger to its menus after a successful trial run. The vegan burger features two veggie patties, melted Bio Cheese, tomato, lettuce, ketchup and vegan mayo - just like the real deal! Over 400 Hungry Jack’s stores Australia-wide are now melting Bio Cheese onto their veggie patties to create the ULTIMATE Bio Cheeseburger! 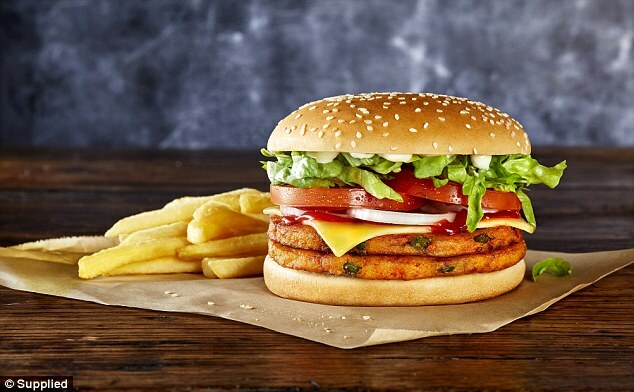 With Australia’s appetite for vegan food only continuing to grow, major fast-food chain Hungry Jack’s saw it time to respond! Vegans are taking over the world, one fast-food chain at a time! After a successful 3 month trial in select locations, Hungry Jacks has now launched a 100% Vegan Bio Cheeseburger in all 400 Australian stores. Fast-food giant Hungry Jacks’s has just debuted a fully plant-based burger at select Australian locations. The new menu item - called the Vegan Burger - is an adaptation of the chains vegetarian burger, modified to include plant-based mayo AND Bio Cheese! This is not a drill. Hungry Jack’s is officially releasing a Vegan Burger. The burger features a 100% vegan patty made with carrots, peas, corn, potato and capsicum, PLUS vegan mayonnaise and Bio Cheese. Look no further for a fresh and delicious ready to go meal! 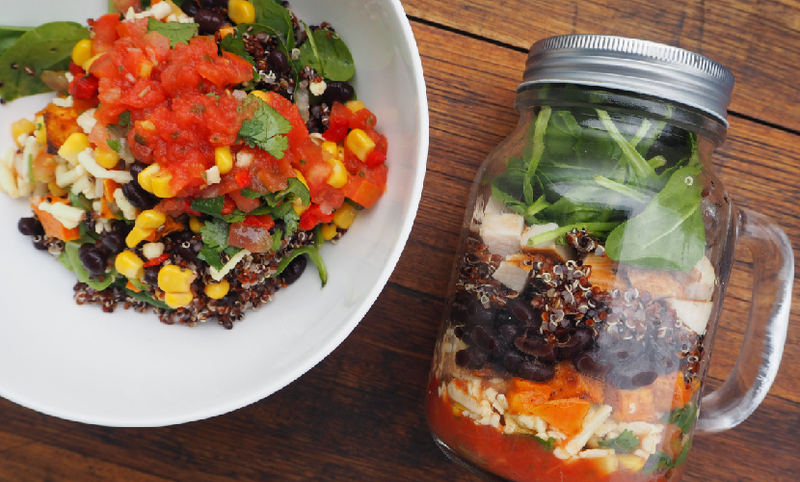 Prepare these Mexican Mason Jars the night before and keep them in the fridge, ready to grab on the way to work/ school. Substitute vegan, dairy-free Bio Cheese for a delicious vegan dish! Food glorious food – substitutes for the gluten intolerant, lactose intolerant and the health conscious. HINT: our Bio Cheese Cheddar Slices made the list! VeganNews.com.au - Woolworths launches new vegan Halloumi! Bio Cheese Halloumi promises to provide all the flavours of the Mediterranean, whilst remaining free from dairy. This new Halloumi can be enjoyed raw, grilled or fried as a tapas-style snack – and boasts a melt that resembles traditional cheese. You can now find vegan Halloumi cheese at Woolworths, Australia’s leading supermarket chain. With a higher melting point compared to other vegan cheese varieties, it can be grilled like the traditional Mediterranean cheese. Chelsea reviews our Bio Cheese Feta product (available in Woolworths stores nationally) calling it the “best feta substitute [she’s tried so far!”.